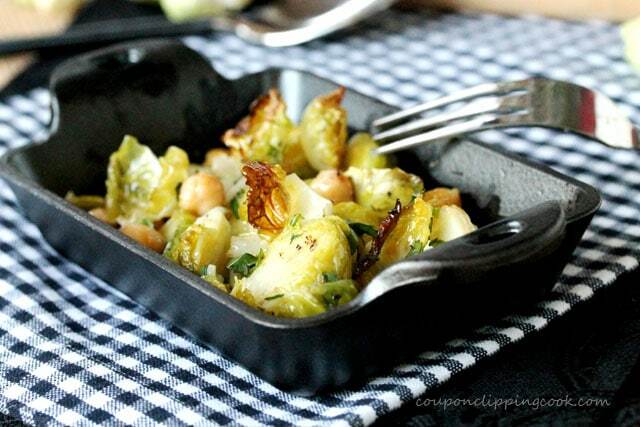 This Brussels sprouts and chickpea combo deserves to be habit forming. 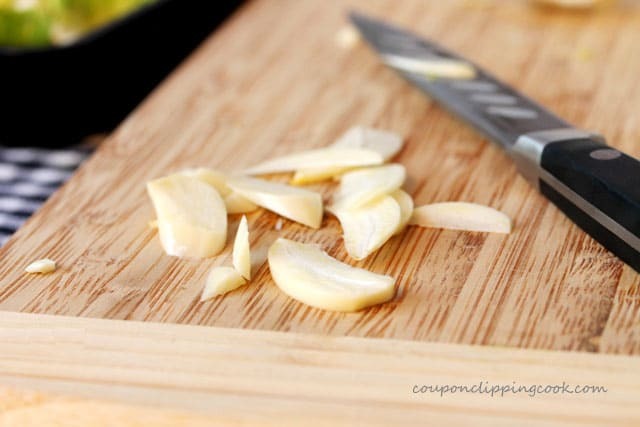 Less is more with this quick and easy recipe. 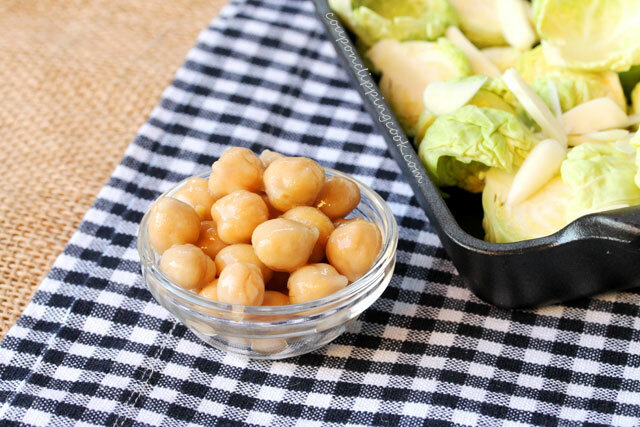 Brussels sprouts and chickpeas team up in this veggie dish along with garlic, olive oil and a little oven time for a hearty vegetable side dish. 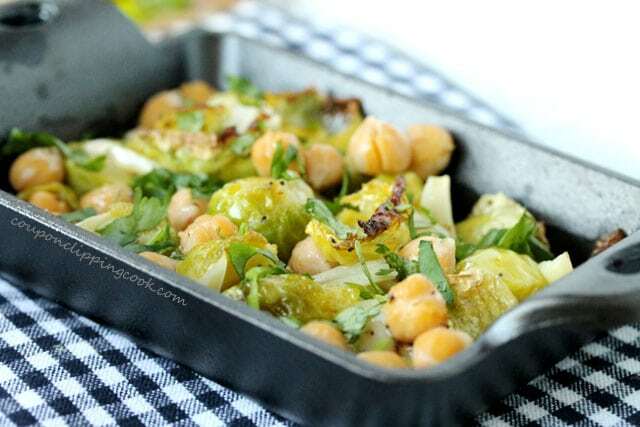 The chickpeas are a great addition to the Brussels sprouts adding interesting texture and mild taste to the mix. 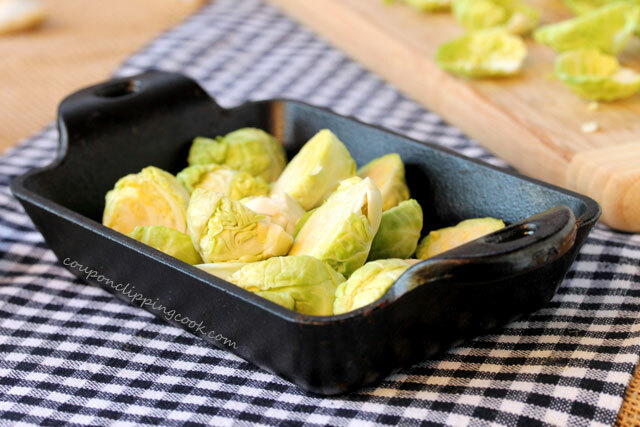 Cast iron cookware works great for this recipe because it gets nice and hot, which makes the Brussels sprouts brown nicely. 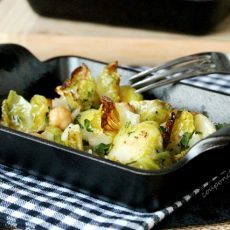 Speaking of cast iron, I just love small cast iron bakeware like the ones I used for this recipe. 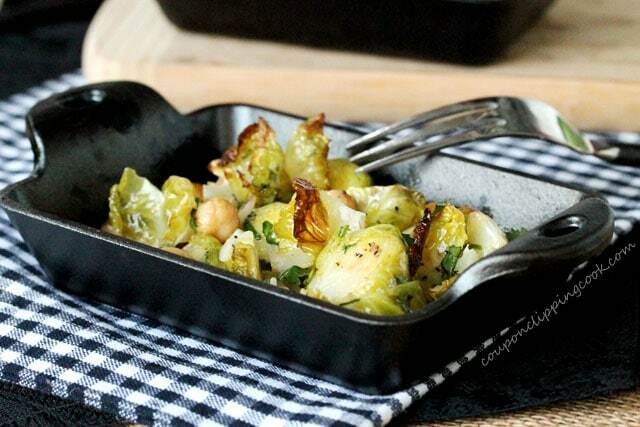 When I see these cute cast iron baking pans in the store they end up in my shopping cart without me even knowing it. They’re a weakness of mine…right on up there with cute mason jars. 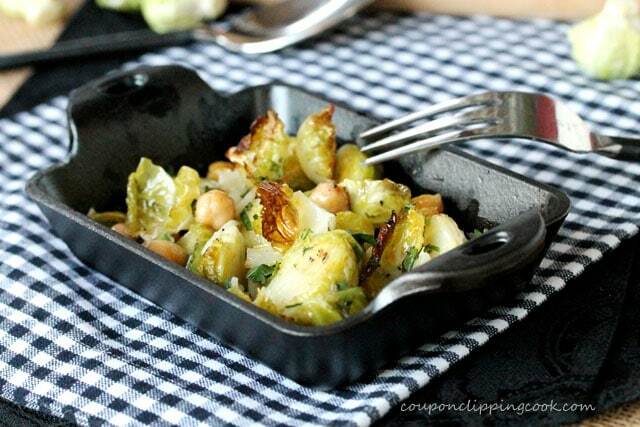 Cast iron bakeware also makes an attractive serving dish because it has that comfort food appeal. For example, I love how this cornbread looks in an iron pan and of course how it tastes when baked in it – “Blueberry Cinnamon Corn Bread” or these nachos “Brie and Olive Tapenade Nachos“. 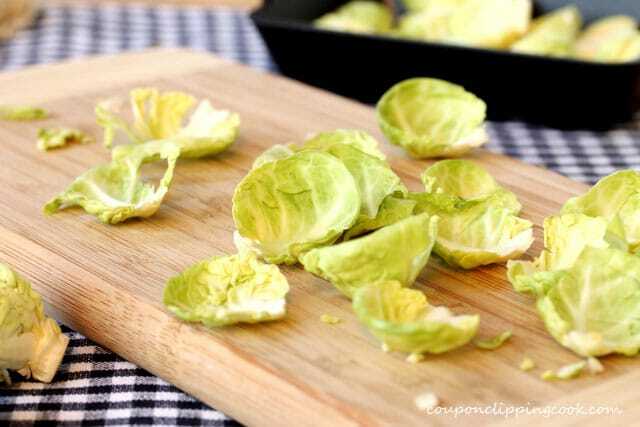 Okay so back to these super simple Brussels sprouts. 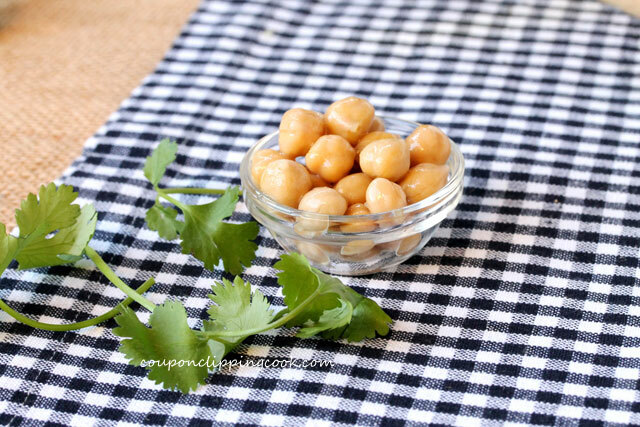 …chickpeas (garbanzo beans) and cilantro. remove about 12 leaves (in total) from the various halves. 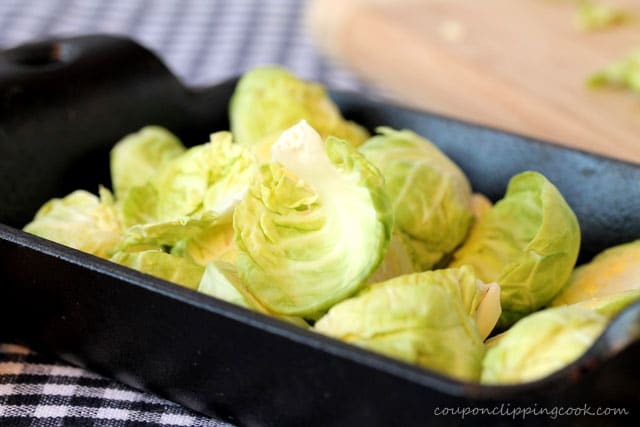 The leaves taste so good when they get crunchy and slightly brown. 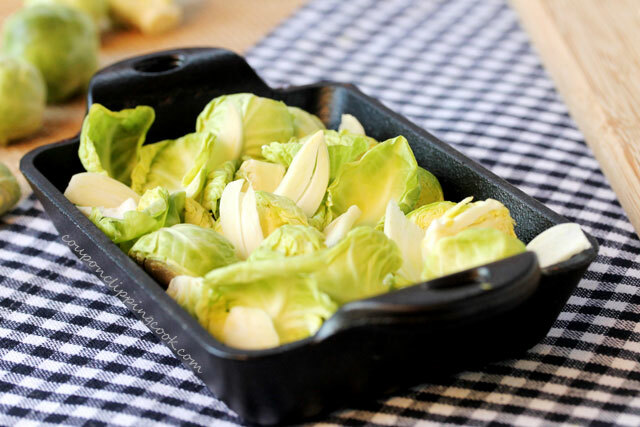 …and the Brussels sprout leaves. 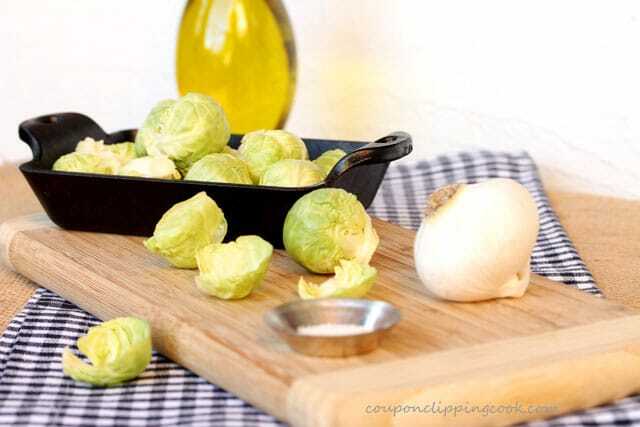 Drizzle the olive oil on top of the Brussels sprouts and chickpeas and add the salt and pepper. Bake in a preheated oven uncovered for 8 minutes. 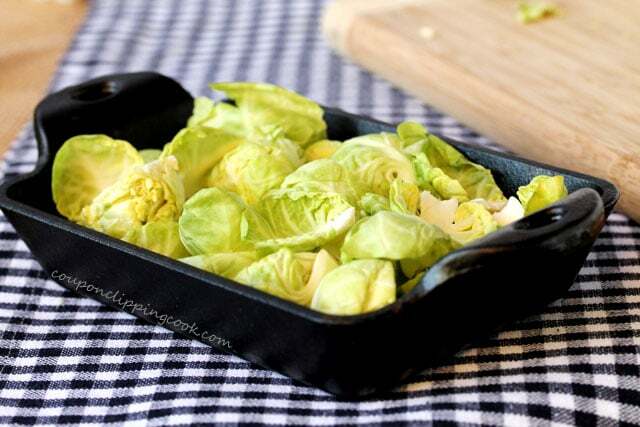 Then cover the pan with foil and bake another 15 minutes. 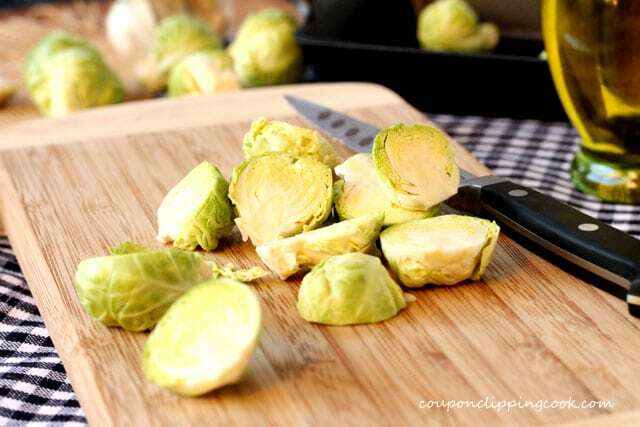 Remove the Brussels sprouts from the oven and top with chopped cilantro. And serve right away while warm. 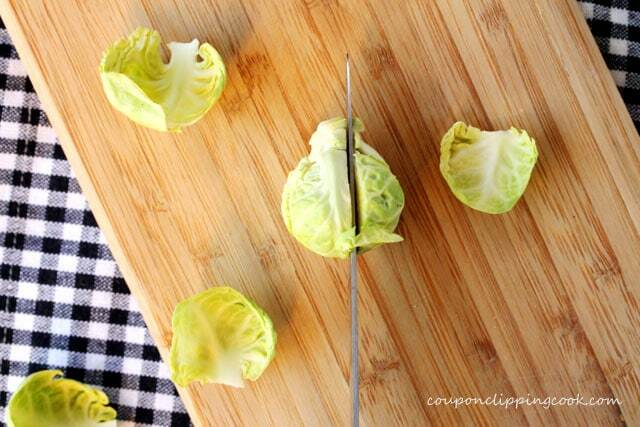 Cut the Brussels sprouts in half. Remove about 12 leaves (in total) from the various halves. 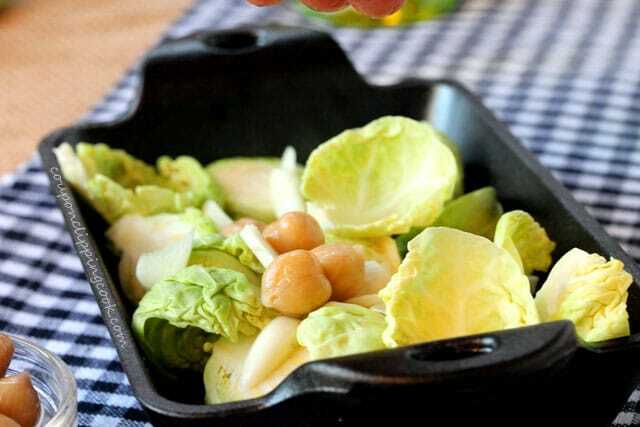 Add the Brussels sprouts halves and leaves, and chickpeas to an iron skillet. 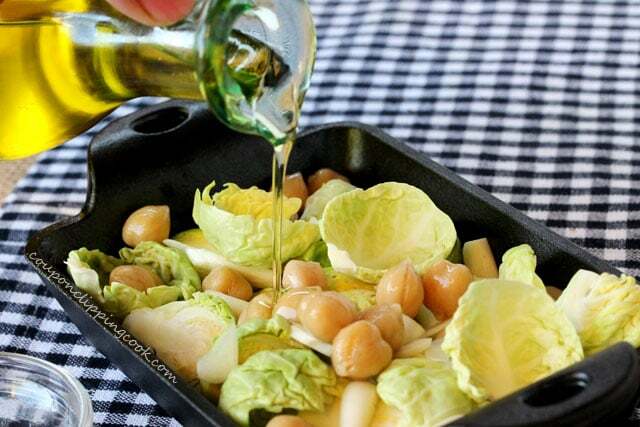 Drizzle olive oil on top and add the salt and pepper. Bake in a preheated oven uncovered for about 8 minutes. 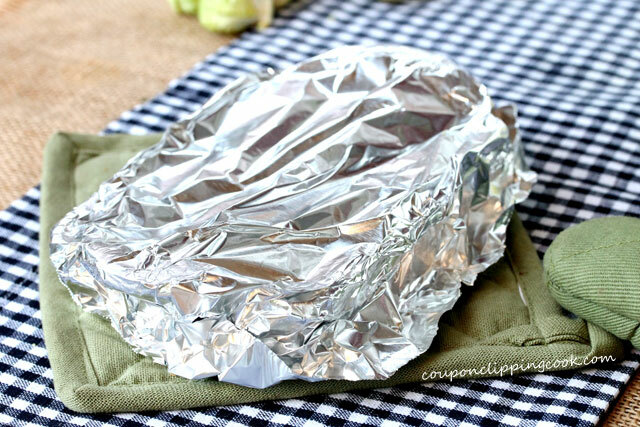 Then cover the pan with foil and bake another 15 minutes. 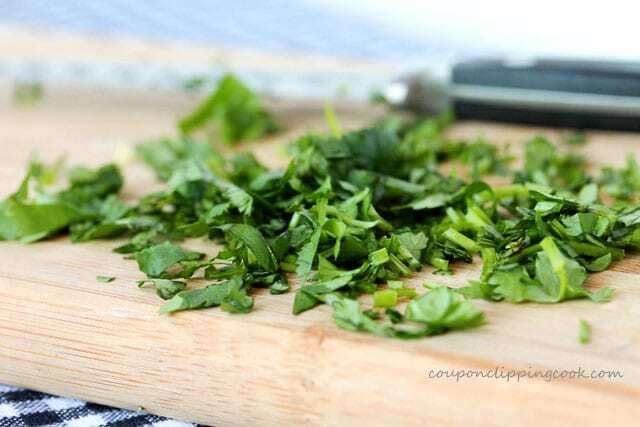 Top with chopped cilantro. Salt to taste.